6 Special K Bars packs at $1.99 each (forgot to ad one in, it was still in the bag), used (3) $1.00 off 2 Kellogg's Nutri-Grain/Special K Bars (or if you can only print from one computer there is an additional print here) + $5/$18 saving star ecoupon = $0.65 each + earned $0.15 off per gallon! 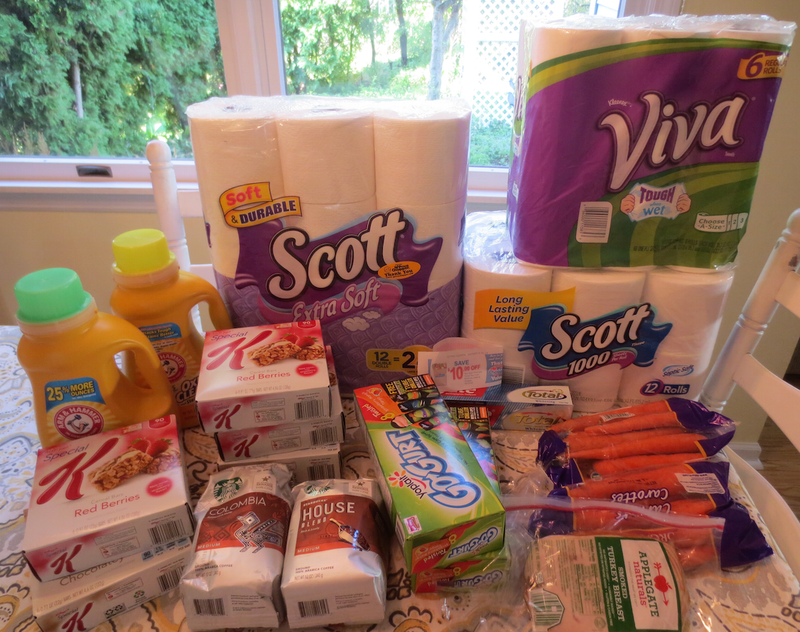 = $29.96 for all, saved $61.37! I'll have to grab some of the cheap Tuttorosso Tomatoes this week as well plus get a raincheck for the Berio Olive Oil. Here is the another deal idea for the $10/$30 Kimberly Clark catalina. I did a similar deal yesterday twice so was out of coupons today!